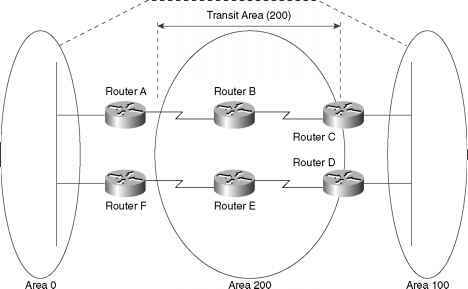 All OSPF areas must be connected to the backbone area (Area 0). Figure 2-16 demonstrates a topology where an area (Area 100) is not directly connected to the backbone. 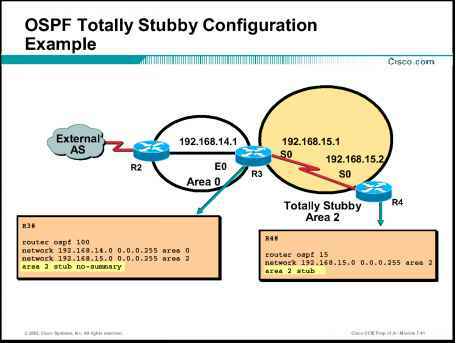 To ensure that Area 100 is reachable by the backbone, a virtual link can be configured over the transit area (200), and IP connectivity will be maintained. Virtual links are typically used in a transition phase (for example, when one company buys another and both companies use OSPF). Another solution to the problem depicted in Figure 2-16 is to install a physical link between Router C or Router D and the backbone core network.